While I was in SF last week, I ate some good meals. Wexlers, Wayfare Tavern, The Grove. But all food in SF is good. I've yet to be disappointed. Sadly, good gets boring. So this makes me want to strive for better than good. Which leads me to Baretta. Yes, the burrata pizza was good, and so was the squid ink risotto. But thats expected. Give me something unexpected....and in comes their desserts. A spoonful of their house-made gelato ice cream seriously awakened my palette. 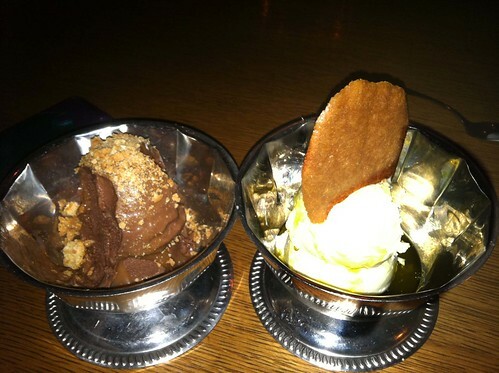 Left: Bonet-chocolate gelato with amaretti & caramel: Savored every bite (and I dislike chocolate). I couldnt grasp the beauty of almond flavors melding in with chocolate. We sat in silence appreciating this one. Right: And then the panna gelato with extra virgin olive oil & sea salt was a little life altering. Polar opposites -- like vanilla ice cream and french fries. Bi-rite Creamery has nothing on Baretta. 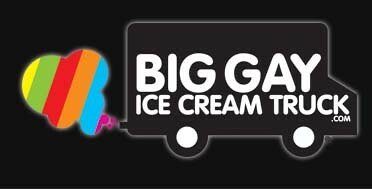 But NY's Big Gay Ice Cream Truck may-- he does a killer vanilla with siracha sauce. He'll be back in May!